The fall is here, October has arrived, which means Halloween is just right around the corner. This is that time of year for costumes, candy, scary movies, and pumpkin spice everything. 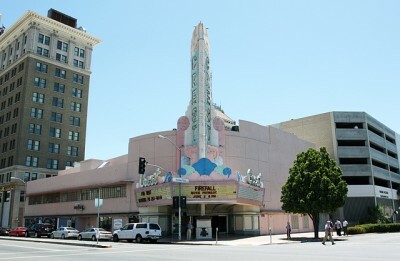 And the place that is eating up the festivities is the Historic Crest Theatre in downtown Fresno. It first opened its doors in 1949, then was designated as a historical landmark in 2010, and is a home for a variety of events ranging from movie screenings, concerts, birthday parties, dances, and conferences. Ever since the reconstruction of the Fulton Street, the Crest Theatre has been a go-to destination for showcasing classic films. 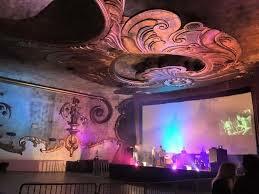 Throughout the year, if you’re not busy on Fridays, no need to stay indoors and binge on Netflix, their goal is to bring back the old school, film going experience with their cathedral like interior, 1,250 seat capacity, and 43-foot-wide screen. 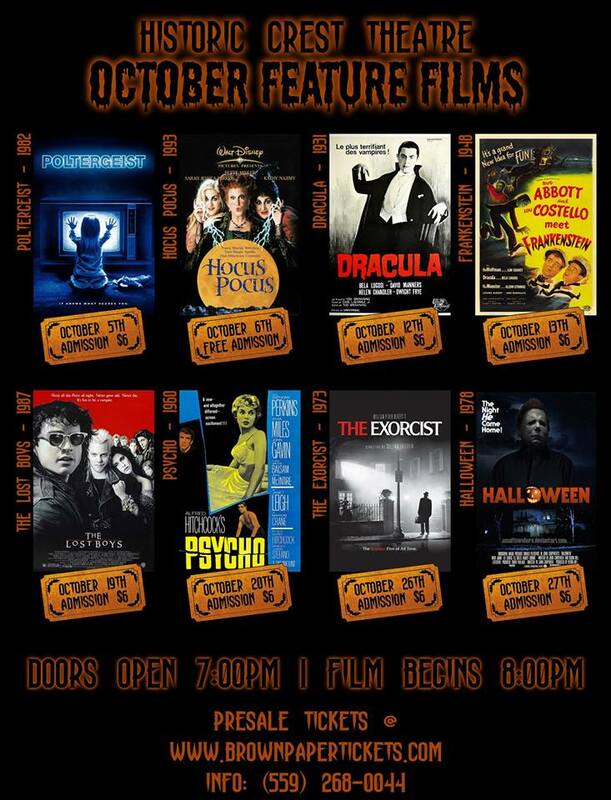 Throughout the month of October on Fridays they’ll be screening classic horror films like Poltergeist (Oct. 5), Dracula (Oct. 12), The Lost Boys (Oct. 19), and The Exorcist (Oct. 26); on Saturdays, one night only, there’ll be a free screening for the family-friendly Hocus Pocus (Oct. 6), and then you have Abbott & Costello Meet Frankenstein (Oct. 13), Psycho (Oct. 20), and Halloween (Oct. 27). The ticket prices are six dollars. 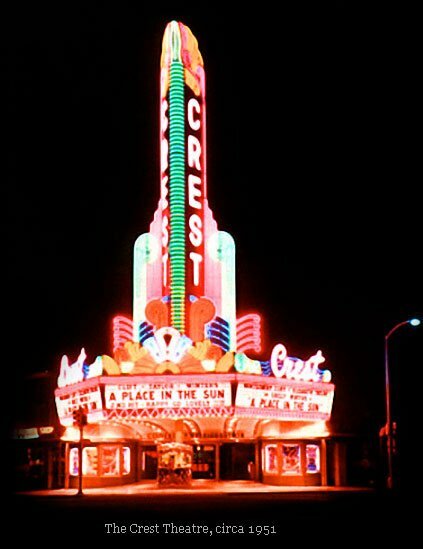 I had the opportunity to talk to Dee Ann Hull, the Crest Manager, on what the selection process is like on which films get shown, will there be any extracurricular activities happening at these screenings, and what does the future have in story for the Crest Theatre? Steven: So, how long has the Crest Theatre been showing throwback movies now? Dee: We began to show throwback films in October 2017. Steven: You charge audiences a few dollars for these showings. Where’s that money going to?? Dee: The money charged to view the films go back in to paying for movie licensing fees, electricity, water, cleaning, maintenance, etc. Money donated goes into renovations. The Friends of the Crest Theatre, a 501(c)3 nonprofit was created in January 2017 to help with the renovations. ?Steven: What were some of the challenges you faced trying to restore the theatre? Dee: Definitely money. That is always the big issue. Renovating the Crest is a million-dollar project. Steven: What’s the selection process like when choosing a schedule of films to show? Dee: Here at the Crest, we go based on films we’ve seen growing up, and also, films suggested by moviegoers. Steven: Halloween is coming up, what are your plans for the month of October? Choosing scary films may not be a tough thing, but the variety is. How were you able to decide on this selection of films? Dee: A film list is made of the best Halloween-themed films, and then we slowly start deciding from the list. Steven: You do different themes for different holidays like Halloween and Christmas, but in your opinion, what time of the year is it where you get the biggest attendance? Dee: It depends on the films that are shown. Steven: With the downtown area being restored, has that helped with business? Dee: It definitely has brought more attention downtown. Steven: You were recently involved in Art Hop, your very first one? What was that like? Do you plan on continuing to be a part of Art Hop, and if so to what capacity? Dee: It was a fun event. We will continue doing Art Hop when possible. Steven: You’ve also thrown concerts in the past, do you plan on doing that down the road, and if so, could you name some artists that you plan on bringing to town? Dee: We are working on bringing in more events from rock concerts to comedians. Steven: The movie going experience isn’t what it used to be. I’ve seen some films there that I didn’t get the chance to see on the big screen. What are some of the compliments you’ve gotten from people who’ve attended your screenings? Dee: A lot of people tell us thank you for playing films they have never seen on the big screen, and also, being in a historic theatre to watch a film they have never seen, or have seen before, adds to their experience. Steven: Since this is October, do you have any specials things taking place at your screenings that are Halloween themed like a costume contest or anything like that? Dee: Costumes are encouraged for the film events, and raffles for movie passes and snacks at the concessions. Steven: What does the future have in store for Crest Theatre? Dee: We will continue showing films and having various types of events. And we’ll push forward with raising money for renovations.